Leeds, UK, 4th March 2019 – We’re harnessing our network of experts, thought leaders and industry professionals to bring you invaluable insights into the trends and industry related issues that impact your bottom line! To start this series off, were particularly excited to introduce Steve Herbert. 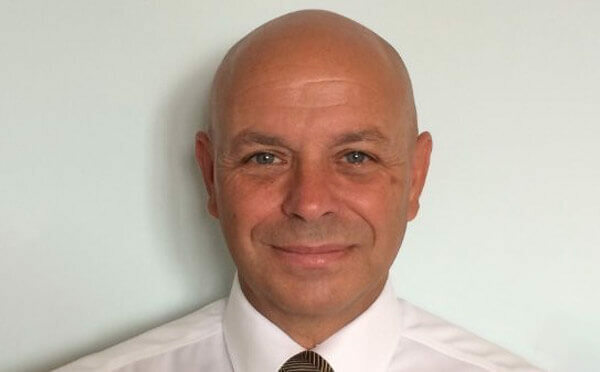 Steve is a seasoned and influential Service industry expert with extensive General Management and Programme Management experience within the UK and around the globe. In the coming weeks and months, Steve will be helping to answer some of your most frequently asked questions and share some of his battle-tested experiences amongst the BigChange Network. Steve Herbert: I am a TV engineer by trade and I worked in that industry for 10-12 years. When I decided to shift into a position that was more economically viable long term I looked into management positions. I got my start working in the TV and VCR rental industry (if you even remember such a thing?) and I was blessed to become very successful in it. At my peak in the retail industry, I was responsible for 3 branches as a service manager. Eventually, I became a regional project manager in the US. At the time it was great, I was rising in the business however the retail rental business was losing relevancy so I looked for a different sector to utilise my skills. I joined Dixons, as a regional support manager in their service business, then shifted into the distribution side of the business. After a lot of hard work, I rose in Dixons to become the director for the entire UK and Ireland operations and joined their board of directors. With Dixons, I relocated to Russia, in order to manage the soon-to-be-acquired El Dorado company for $1 billion. In Russia, I managed 29 warehouses and often dealt with Russia’s notorious & very strategically different conditions. 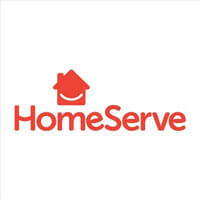 When Dixons pulled out of the acquisition, I moved on to join HomeServe, the fast-growing provider of Home emergency plumbing and maintenance services. Overall, in each of these opportunities, I had positive and meaningful experiences with all involved and it really helped to shape how I do business today. I met (BigChange CEO & Founder) Martin Port, in his previous business, when Dixons was using their GPS tracking system, and we’ve been friends ever since. I’ve been honoured to watch as Martin succeeded with his telematics business and has grown to new levels of achievement with BigChange; building a fabulous product and business. I’ve always taken the view, that if my job involved people on an operational level, then I could do it. I have a talent for problem-solving. If I see something that doesn’t work, then quickly I can find solutions. Operations is something I’ve always excelled at. I’m a practical and logical person. And I’m a worrier. I’ve made a career in problem-solving so my partnership with BigChange was really a logical progression. After I left HomeServe, I wanted to go out on my own. I set up my own consultancy to leverage my industry experience and make an impact on developing businesses. After this, Martin started to lean on me to help and advise young emerging talent with upward potential. It’s mostly a word of mouth operation but it’s been really meaningful and exciting to share the lessons that I’ve learned in the trenches. 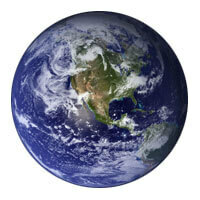 Steve Herbert: We live in a very demanding world in every respect. The pace of life and expectations of people in affluent countries is very intense. Where expectations of life have been inflated, you must readjust and in-the-end respond to evolving trends. If you’re not always keeping up with these trends and customer demands, you can’t be successful. I’ve been privileged to see it first hand in a number of different places that those companies who are not looking outside, not looking to different markets and broader technological and human resources trends, get left in the dust. History is littered with companies who didn’t evolve: look at Blockbuster or the TV rental business! If you don’t change with trends and embrace the reality on the ground, you will fail and I’ve seen it in every place I’ve worked. For example, Russia is a very challenging environment which cannot be changed. You have to work within the system because that’s how you will reach your goals. Similarly, look at the pace of life and priorities of Mediterranean countries and it really can change your world view. You have to fit cultural norms to maximise productivity. BigChange: What advice can you give over to small to medium size business owners trying to scale up operations? Steve Herbert: Make good use of your time. I’m not a relaxed person. I can’t sit still and do nothing. I have to have a project and I always have a plan and this is critical. Having direction and staying focused keeps your moving forward. Additionally, I think that accepting people for who they are is huge. Changing people is futile. You can help them to realise their potential but you have to understand that your collective differences aren’t a reason for value judgement. Also, it is very important that you integrate technical advancements into how you operate but not at the cost of customer service and personal relationships. Use your time and resources pragmatically. Steve Herbert will be one of our rotating experts and thought leaders providing his experiences and guidance in a monthly series we’re calling ‘Ask Steve’, where Steve leverages his understanding to help your business work more efficiently.